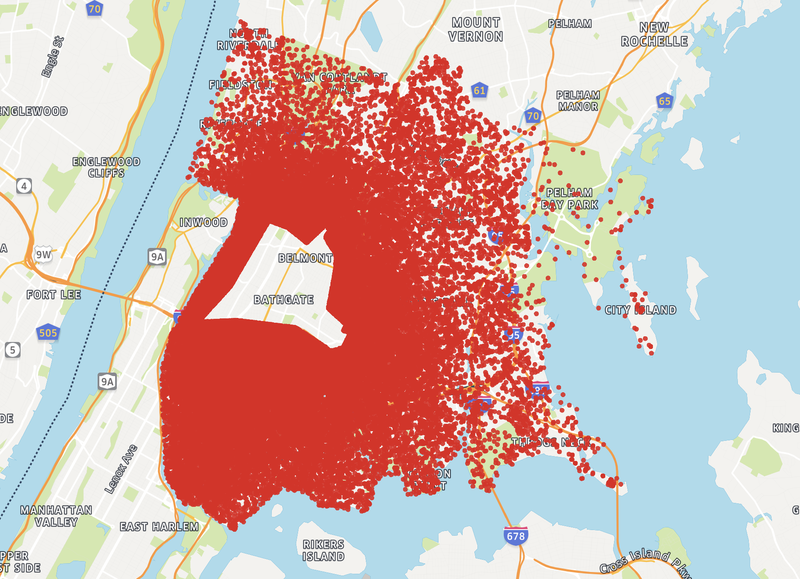 Since the launch of the bike-share pilot in the central Bronx in August, JUMP Bikes has seen over 15,000 rides! Back when Citi Bike first launched in 2013, we were very vocal that bike sharing in NYC had to be equitable and accessible to all residents including The Bronx despite critics saying there wouldn’t be a strong market up here. When the pilot program was announced for The Bronx, many residents were skeptical and questioned whether it would be a good fit for The Bronx, but preliminary data appears to suggest it is. We rode JUMP’s pedal-assist e-bike throughout the coverage area and needless to say we were impressed at the ease of use AND speed! 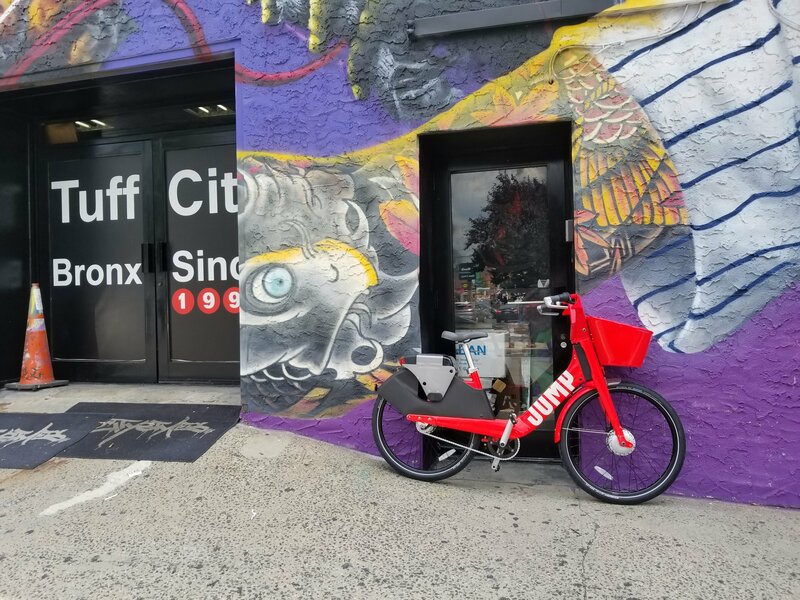 “JUMP Bikes’ popularity in the Central Bronx has exceeded our already-high expectations.” said Alix Anfang, Communications Manager at Uber in a statement to Welcome2TheBronx. Each dot on this map provided by Uber represents a user who looks at JUMP Bikes while on their app outside of the pilot area. As you can see, practically every inch of our borough is covered with such views. DOT still hasn’t finished its review process and has in granted a 90-day extension to the pilot program last week for further review. So where are Bronxites going on these bright, red bikes? Uber recently put out a report that highlights some of the benefits of expanding JUMP’s footprint. That’s pretty amazing that there’s a potential for 1 million car trips to convert to bikes thus freeing up the roadways and lead to less congestion and pollution. We also reached out to Motivate, who runs Citi Bike, but have yet to receive comment on their data and experience under the same pilot program and area in The Bronx. Bottom line is this: We need DOT to approve this and let the city expand JUMP Bikes to cover the entire borough. It’s an affordable alternative to getting around and with their pedal-assist technology, it makes getting around our hilly terrain a cinch. Furthermore, at $2 bucks for a 30 minute ride and 7 cents per additional minute thereafter, it’s quite an affordable ride. For low-income residents the savings are even deeper as qualifying residents pay only $5 bucks a month for 60 minutes a day. Anything beyond the 60 minutes a day is charged at the 7 cents a minute standard rate.